Mercedes-AMG F1 approached Pangaea with the challenge to create a graphic system to enhance and strengthen the automotive brand’s motorsport identity. The system needed to reflect the team’s updated car livery and repositioning as a hybrid electric racing brand. 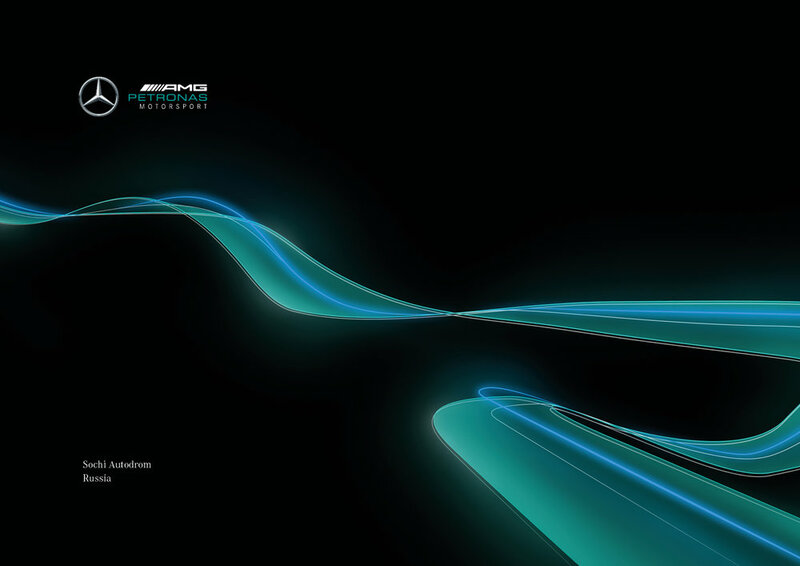 Promoting Mercedes’ EQ electric vehicle sub brand, the aesthetic takes inspiration from electric energy and visualises this in an elegant yet dynamic way, appealing to consumers of the automotive brand and Formula 1 fans alike. The assets were designed to evolve throughout the season – reflecting each race in the F1 calendar – existing in both flat print design and digital animation across all brand touchpoints. The graphics have also been rolled out through Mercedes-AMG’s full motorsport portfolio.